Read this steam news post to find out what has changed in Illwinter's Floorplan Generator. 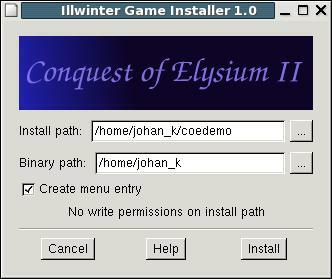 Version 4.28 of Conquest of Elysium has been released. Read this news post to find out more details. Read this steam news post to find out what has changed in Dominions 5.29. Read this steam news post to find out what has changed in Dominions 4.33. Read this steam news post to find out what has changed in Dominions 5.27. A new nation in the latest update for Dominions 5. Read this steam news post to find out what more has changed in Dominions 5.26. Read this steam news post to find out what has changed in Dominions 5.23. Read this steam news post to find out what has changed in Dominions 5.22.